What makes this rose special? 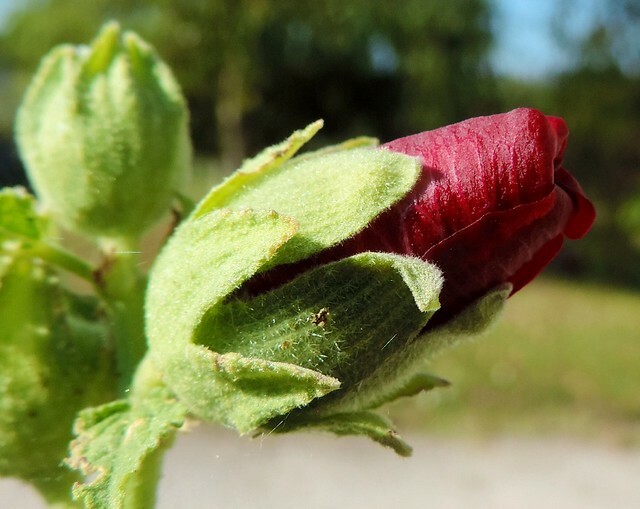 (Ah, some of you will be looking at this saying, “that isn’t a rose, it’s a hollyhock!” But a hollyhock in France, and there are masses of them here in the Charente, is a “rose trémière”). Well, it’s special to me, because it’s growing in my garden and I’ve become pretty fond of all these incredible flowers in this garden. When I think of roses now I think of the story of the Little Prince, and in particular, the section of the story where he meets the fox, and learns the secret the fox has to tell him. The secret, apart from the much quoted “what is essential is invisible to the eye”, is that we make individuals special to us by creating relationships with them. In the story, the fox asks the Little Prince to “tame” him, and I tripped up over that word a few times (even checked out all the possible means of the original French word “apprivoiser” that I could find). I don’t really like the word “tame” as it seems to include changing the creature which is “tamed” to make them docile, and subjugated in some way. However, in the context of the story, it is clear that what is meant is how we create special bonds by paying attention, caring for and looking after another, and that when we do that, that person, or animal, or plant, becomes special to us. He, she or it becomes unique. That might not seem that comfortable a thought at first. After all don’t we like to think of ourselves as compassionate and caring, so we should be able to “care for” or “care about” pretty much anyone? Well, that may be true, but any potential we have to do that remains just that – a potential – until we create actual, real bonds with actual, real individuals. In the story, the fox explains to the Little Prince that the garden full of roses shouldn’t make him sad that his rose is not as unique as he thought. His rose, in fact, is still unique, and how the Little Prince feels (or doesn’t feel) about all the roses in the garden even emphasises that point. Here’s a nice reflection on this whole issue. So, as we create a relationship with the particular – with this rose, with this creature, or with this person – we reveal their uniqueness. And as we continue and develop that relationship, they become even more unique, even more special to us. That’s one of the essential kinds of bonds we have to make to deepen our experience of living in this world. And it takes nothing away from the fact that, potentially, any person, any flower, any creature can become special to us.